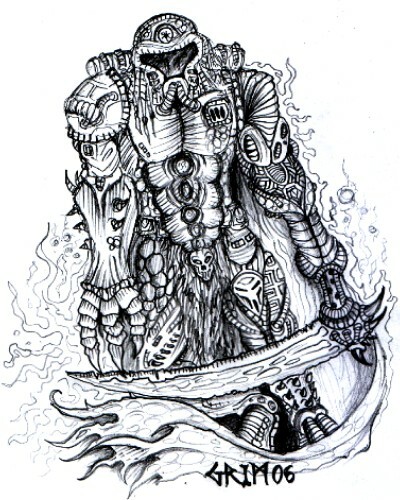 This page is going to feature my art and illustrations, from the comedic and cartoon, to strange and bizarre. Please take a good look around and I hope you enjoy. 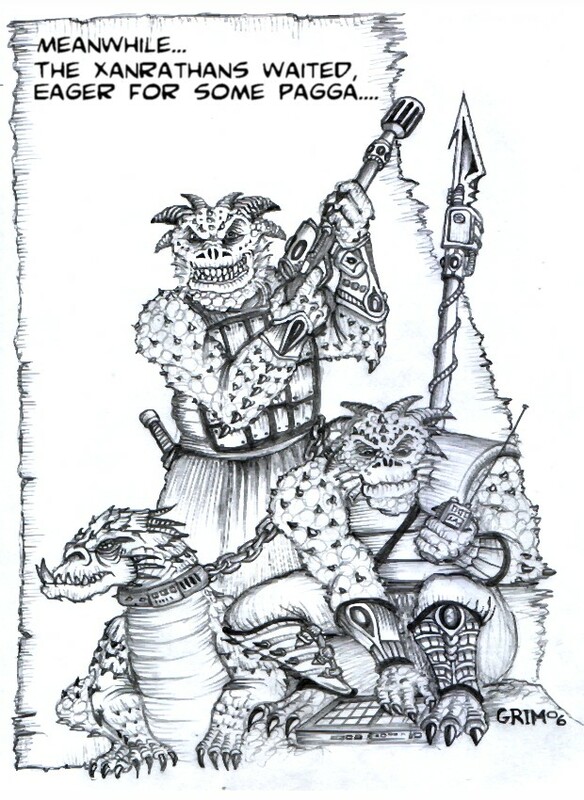 The page will be updated regularly with new art, so keep visiting to keep up to date with any new stuff I get chance to put on here. Some you might have seen before, some will be new. If you would like to get in touch with me about commissioning any art for your project or have any questions or queries, please feel free to email me at: grimacereaper73 (at) gmail.com to discuss your needs. 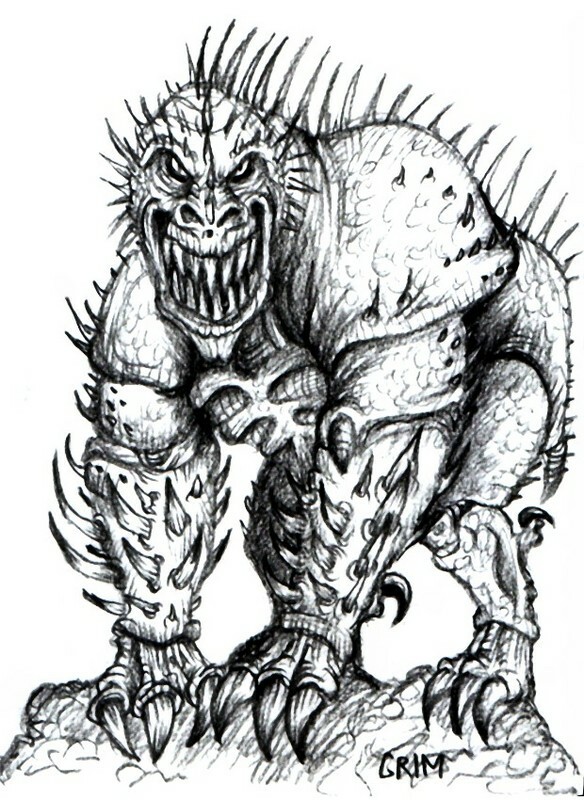 New 26/10/12 Concept art for Mugal + handler 15mm scale figures. 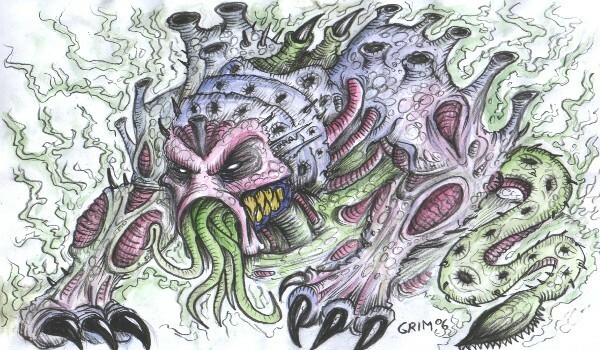 MORE ART TO FOLLOW, INCLUDING OGGAM ART AND OTHER FINE EXAMPLES OF THE ART OF GRIM!! dad your artwork is so cool. Thanks for the comment and the like kid! I’ll take a look around your site later and see what you’ve been up to! !